What’s up everybody! We’re back with another performance review. 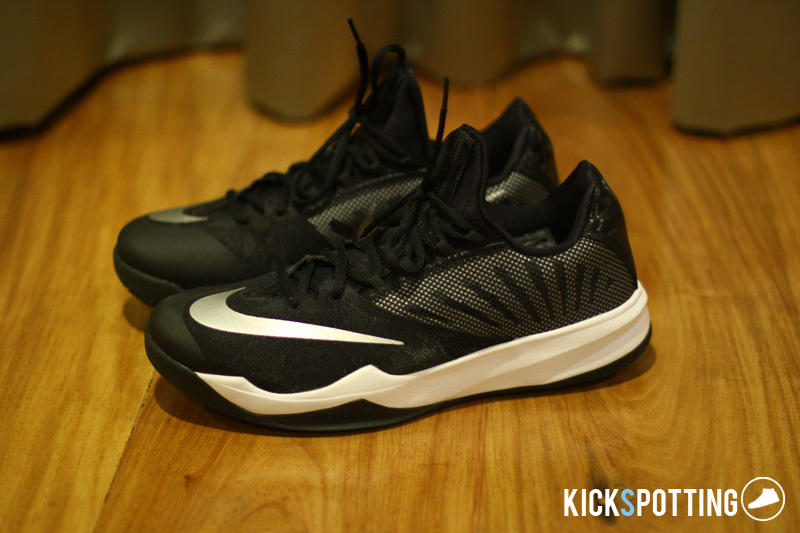 Up next is the Nike Zoom Run the One, a shoe currently rocked by James Harden. 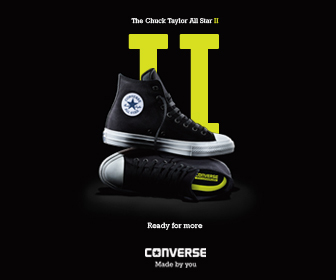 The shoe has been out in the US for a long time now and just recently made their way here locally. Currently we got two colorways available in the Team Bank series, one blue and one black. 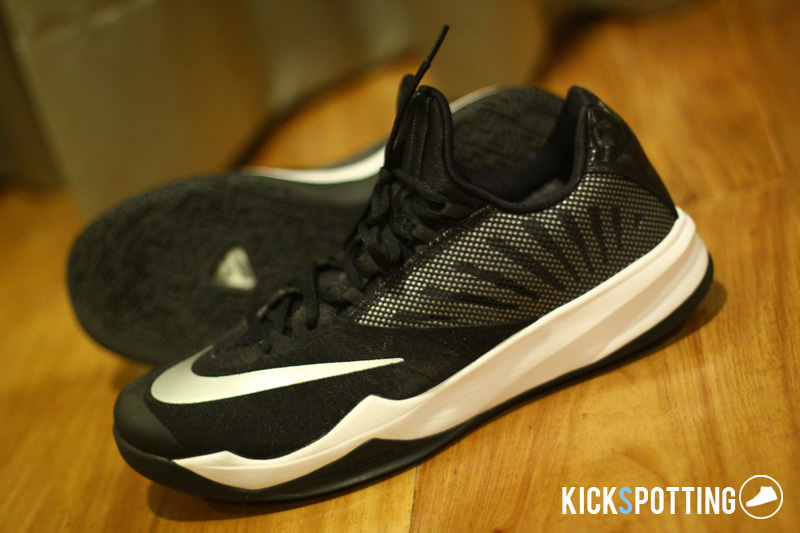 The Zoom Run the One is a follow up to the Zoom crusader which Harden also rocked last season. They basically have the same build with some tweaks and adjustments. So let’s get right to it! The design of the Run the One is still very similar to the Crusader but with less material. The upper features a one-piece sock-like inner sleeve unlike the Crusader which used two layers. Mesh covers most of the upper with dynamic flywire on the forefoot and fuse for added support. 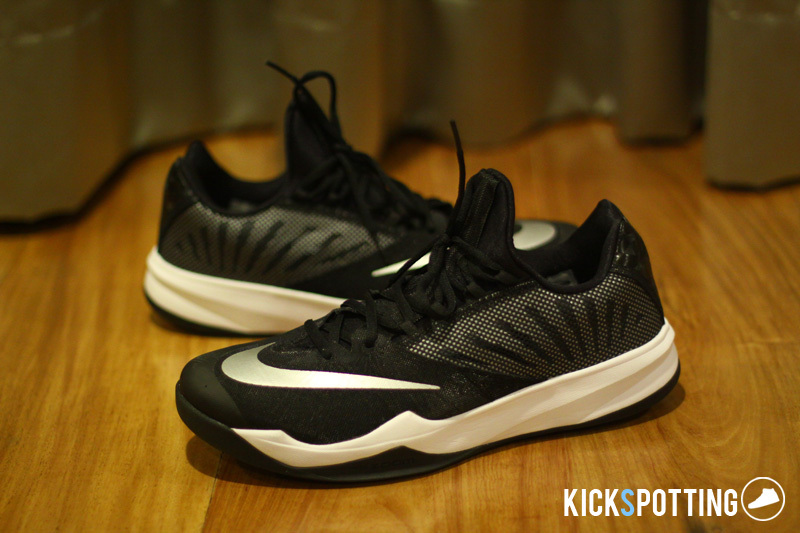 A white phylon midsole adds contrast to the black upper while zoom on the forefoot completes the design. 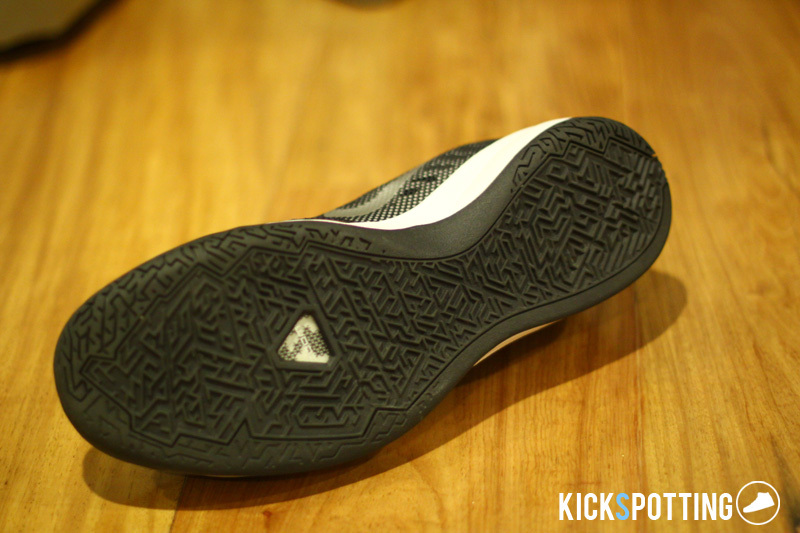 The main feature here is the zoom unit on the forefoot which gives you that responsive cushioning. Right off the box the shoe felt comfortable and I did feel the zoom right away. No break in time for me during my runs and the shoe felt good right away. Cushioning was not an issue both at on the forefoot and heel. The zoom was not the most responsive out there but you could feel it and you know it’s there. Overall it was a good ride and it got the job done. They fit true to size. Having a one-piece bootie construction does give it that snug fit so you can adjust up to a half size up I think. 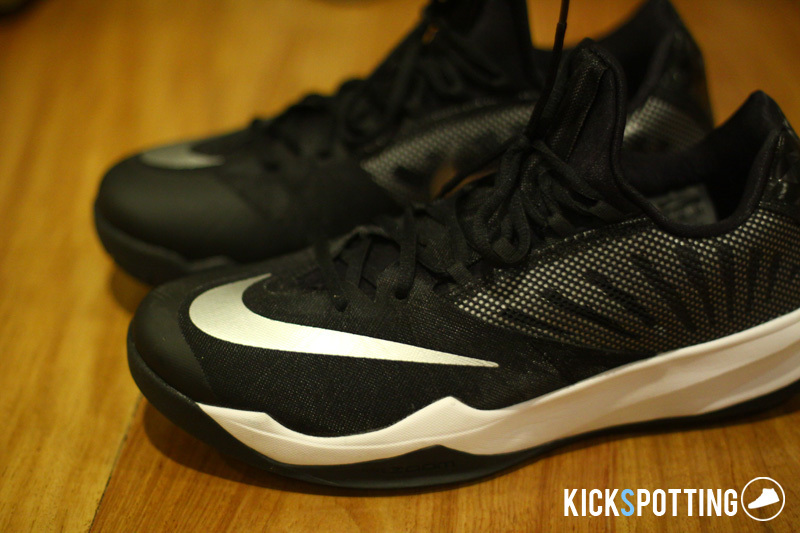 The sock-like inner sleeve hugs your foot in pretty good and adds lockdown. I liked the one-piece construction and it felt good on my foot. The mesh upper made it light and flexible, definitely better for me than fuse uppers. Dynamic flywire on the forefoot adds support that you need on cuts and stops and also holds your foot in better. Overall you get a decent fit with the Run the One and I didn’t find any issues here. The upper is constructed mostly of mesh material which gives you decent air flow and breathability. The shoe uses less material overall so you won’t have a problem with hot spots. No issues in this area, you’re good to go! 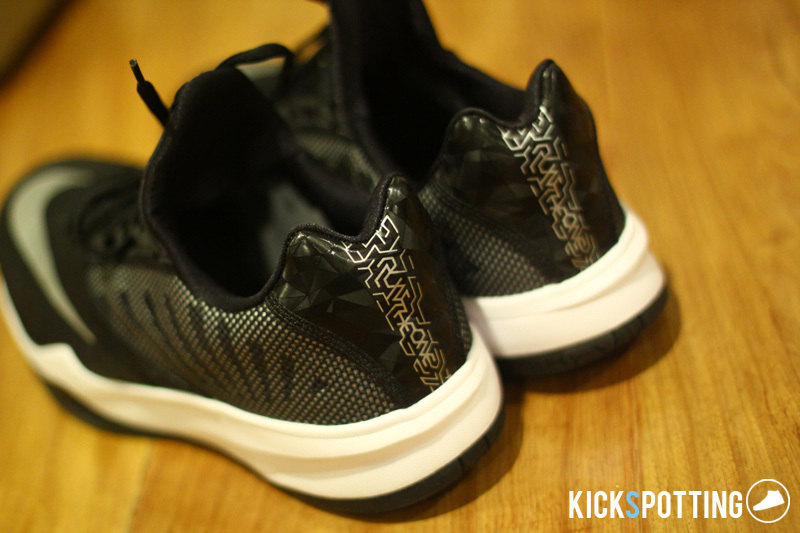 The Zoom Run the One uses a unique multidirectional pattern on the outsole. Looking at it, I didn’t expect too much out of it but it performed well enough. On clean courts I don’t think you’ll have any problem, as well as outdoors. Personally, I still prefer the traditional herringbone pattern which is tried and tested. I didn’t have any problems during my runs but I would love to have a little more grip cuts and sudden change of direction. The main support comes from the fit of the one-piece bootie construction which hugs your foot and keeps it locked down. The laces add more support at the mid foot and you can lace them up tight without any pain on your bones. Flywire on the forefoot keeps your foot in check without restricting movement. The shoe moves well with your foot and I didn’t feel any restriction. Overall you get decent support and it gets the job done, but I would rate it a notch lower than the kobes which had better support for me. Overall, the Zoom Run the One is a good everyday hoop shoe which you can rock on both wooden and outdoor surfaces. It’s light, offers good cushioning, and has all the basics you need to perform well on the court. Best of all, with a price tag of P4,795, this is almost a steal. Wait, it is a steal. Grab your own pair now at select Toby’s Sports outlets around the metro. Good everyday hoop shoe. Perfect for guards and players who need something light and flexible with decent fit, support and cushioning. Price tag is a giveaway.